The Texas Optometry Board is not there to protect you! The Texas Optometry Board is not meeting its mandate to protect the health, safety, and welfare of the public! 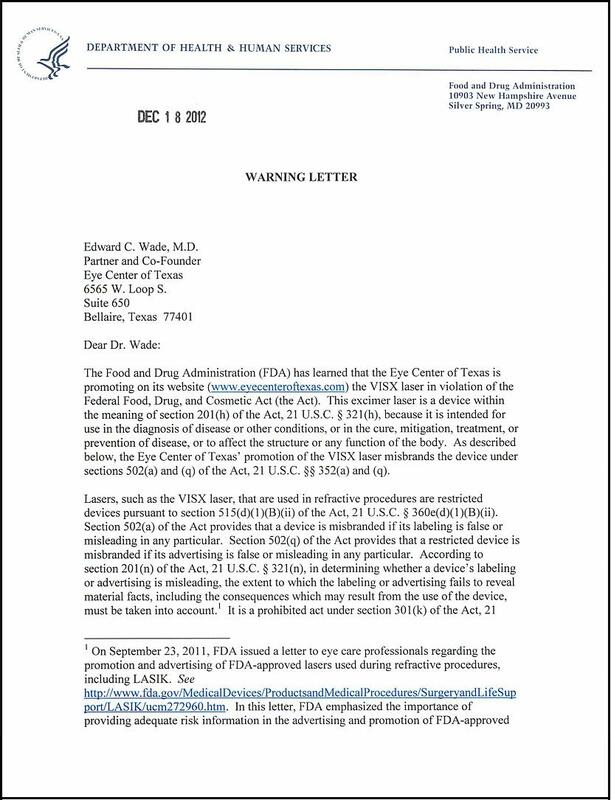 Vice-Chair Randall Reichle, OD was clearly in violation of the Texas Optometry Act Sec. 351.403. FALSE, DECEPTIVE, OR MISLEADING ADVERTISING. (a) A person may not publish or display, or cause or permit to be published or displayed, by any means, including by newspaper, radio, television, billboard, or window display, a false, deceptive, or misleading statement or advertisement concerning ophthalmic services or materials. Why is he still serving on the Optometry board??? 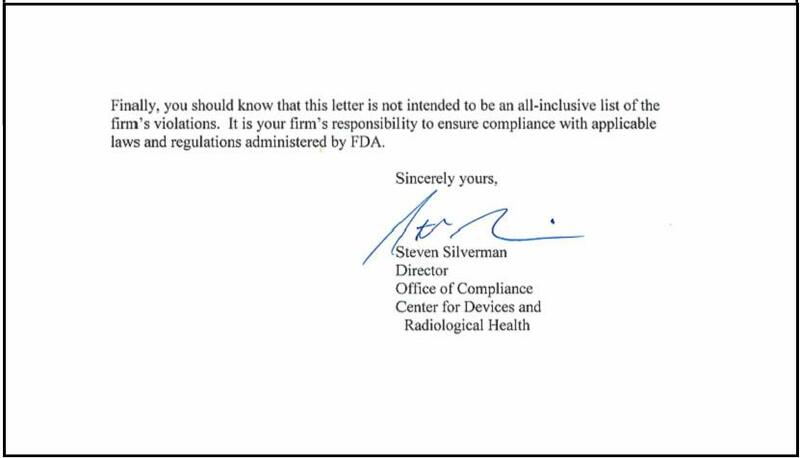 Below is a copy of the warning letter the FDA sent to Randall Reichle's partner, Edward Wade, M.D. at Eye Center of Texas. 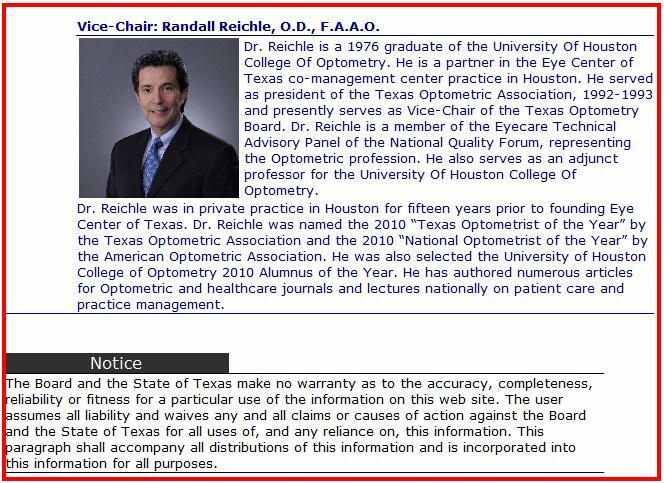 If Randall Reichle is unable to run an honest practice and adhere to the Texas Optometry Board rules, then he has no business serving on the board or practicing as an optometrist. Below is a copy of the response Randall Reichle, OD provided to the optometry board in response to my complaint. The first issue is that Randall Reichle, OD was only investigated by the Texas Optometry Board, which is a conflict of interest. I also suspect that the board only has on investigator, Dennis Riggins. It seems that all decisions are being made solely by Chris Kloeris and not by the board, not all of its members. I will provide additional supporting evidence on this site soon. In his response, Randall Reichle, OD minimized the seriousness of providing false and misleading advertising, which he admitted to doing for over 12 years. Its not that his website merely lacked required information, but that it was designed to purposely mislead consumers. Of course he immediately called his web designer to make corrections. 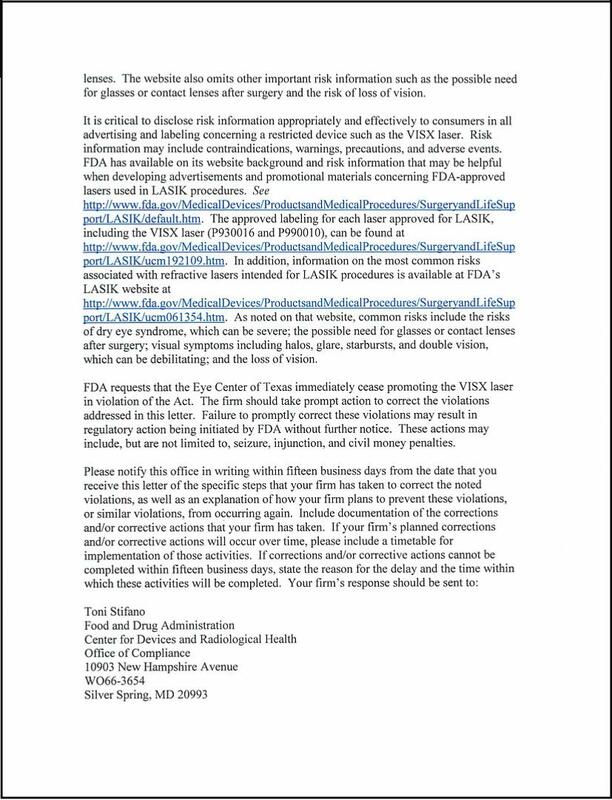 From the FDA letter "FDA requests that the Eye Center of Texas immediately cease promoting the VISX laser in violation of the Act. The firm should take prompt action to correct the violations addressed in this letter. Failure to promptly correct these violations may result in regulatory action being initiated by FDA without further notice. These actions may include, but are not limited to, seizure, injunction, and civil money penalties." 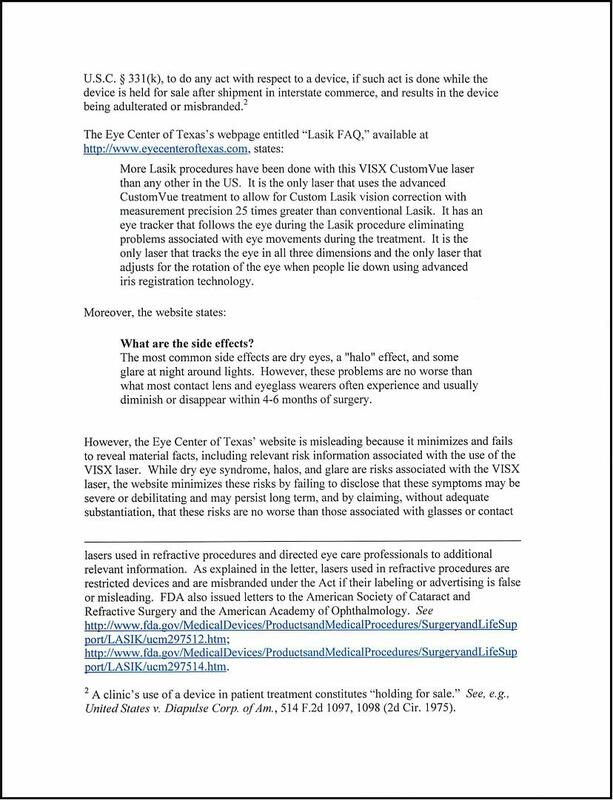 Randall Reichle, OD only made changes to his website because he was threatened by the FDA with fines, seizure of LASIK equipment, or injuntion that would prevent his facility from performing LASIK, not because he wants to protect his patients.